Enjoy our clean,bright seaside home central air conditioned, 3 bedroom, 2 bath home which sleeps 8 privately and 2 others to bring the total up to 10 of your family and friends. Nestle into our deluxe beds each with 2 inch memory foam, quilted mattress covers and 400+ thread count sheets.Kingsize bed in master bedroom. Houses close to the beach encourage you to carry all your belongings to/from the beach. Be on vacation and let your car carry your family, coolers, towels, chairs, umbrella, etc. to the beach. 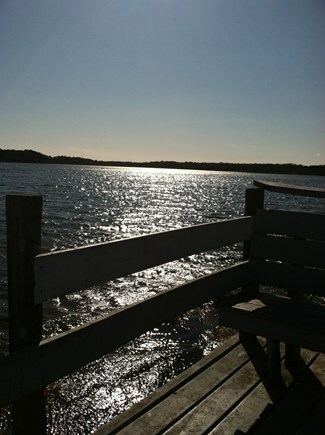 Or bring your kayak or non-motorized boat to Swan Beach boat launch to enjoy the day and maybe do a little fishing. Return home to your outdoor shower . Relax in a fully fenced in backyard with gas BBQ and outdoor seating for 10 people, or bring your family together at mealtime in our spacious dining area that seats 10 adjacent to our sunroom with ...cathedral ceiling. On a rainy day stay at home with several activity's and living areas. Watch a movie on the 52'' TV, play pool on our professional billiard table,challenge a family member to an arcade size air hockey tournament ,play one of the many games or surf the high speed web on our high speed internet. 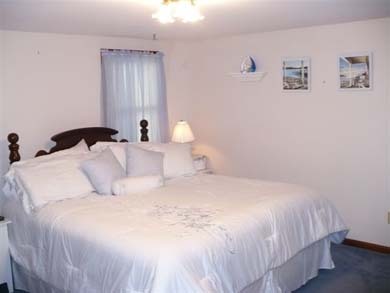 This home is centrally located in the lower-mid Cape near Rte 28, shopping, restaurants, mall, harbors, island ferry tours, golf courses, mini golf, fishing, pirate museum,, north and south beaches, tennis and basketball courts, 2 town parks with freshwater beaches within 3 miles, and several other fun activities. Other amenities on property include security system for fire, police or ambulance, 2 children bikes and3 adult bikes [please bring your own helmets], 2 ocean fishing poles,4 sets of golf clubs with bags, slate billiard table, air hockey, board games, DVDs, videos, electronic dart board, unlimited telephone calls within the U.S., TVs with DVD or VCR in bedrooms, 52'' TV with DVD and VCR, high speed internet, gazelle, reclining elliptical, blender, coffee pot, toaster, lobster pot, iron, blow dryer, washer and dryer, dinnerware for 12 people, plasticware for 12 for outside,stereo,a phone charging station,small bluetooth speakers,4 beach chairs and umbrellas, beach blankets,3 coolers, beach cart, outdoor shower,gas BBQ, outdoor tables and chairs for 10 people, and more. Enough parking for 4 cars. Additional availability info: lodging taxes will be additional. This is a Saturday to Saturday vacation rental. Additional pricing info: 500 dollars reserves your week,, State and local taxes of 14.45% will apply. First floor bedrooms and baths. House is a ranch with 3 steps to get into the front door. One bath has handicap bar. We have been renting this charming home for 4 years. 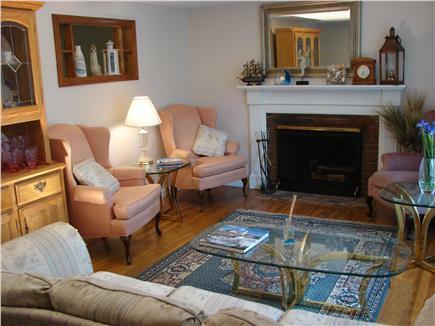 It is situated in an ideal location; close to the beach, shopping and fine dining. This house really makes you feel that you are at home. It is spacious, neat and clean. Our stay wouldn't be the same without our family competition of pool downstairs. Thanks for great memories. My sister, brother and I have been traveling to this house for 6 years. We love everything about this house. The location is perfect, on a quiet road where the kids can ride bikes and throw a ball in the road. 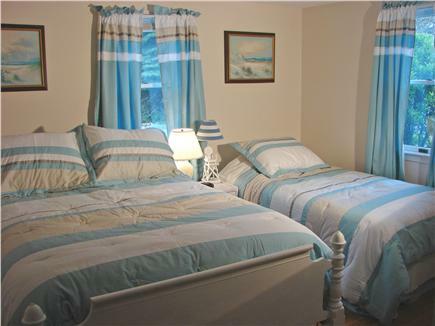 The bedrooms are clean, comfortable and provide plenty of sleeping space. 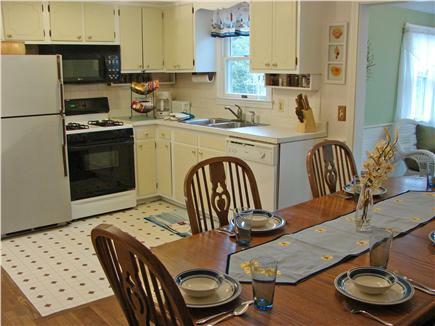 The large table in the kitchen is perfect for our large family. The children love the large living room with a big screen TV, where they can watch movies, while the adults can enjoy the smaller living room. We will be returning for our third summer this July 2017. We are two families with three children ages 11,13,18 and my adult sister. This home meets all of my family's needs. The bedroom configuration works perfectly. 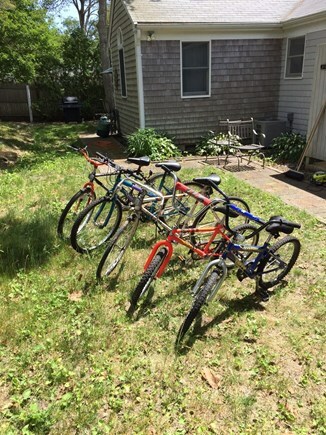 We are pleased that there are no bunk beds, which many homes on the Cape have. The home is always clean upon arrival. 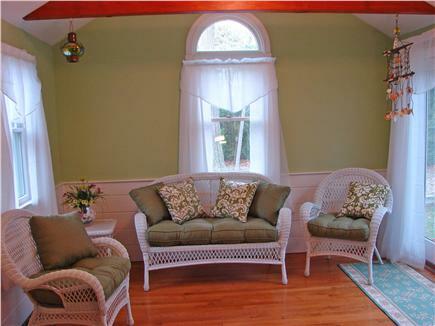 The sun room is perfect and seems to be the kids' favorite place to hang out. Love that there is a large table where we can all sit to have breakfast or dinner. .
We have a family of four (two girls - 7 and 10 at the time) and this was a great place to stay. It was easy access to so much around us - beaches, restaurants, shopping, etc. The street was quiet and the house has been very well-maintained. All the bedrooms were comfortable and the girls enjoyed having a TV of their own in their rooms. It was very clean and had ots of space. We loved having a full kitchen to make our own meals and save some money. I would definitely go back again! My family and I loved our stay in this house! Everything was near by, the house was great with space, and the kids loved the play area at basement. We had a lot of fun having barbecues outside the house! We will be more than happy to stay here again. We had a great week in your Cape home. Very clean and felt completely at home. There is enough room for everyone and it is close to everything. Thank you for all the extras that you did to make us feel at home. Would love to rent again next summer. Thank you again. We had a wonderful week vacation in this home. It was very CLEAN and the beds were extremely comfortable. There was plenty of space for my family and our grandparents and we all had plenty of room and privacy. We all appreciated the extras and felt very much at home! We would not hesitate to rent here again. We had a wonderful vacation. The house is very comfortable and has plenty of room. 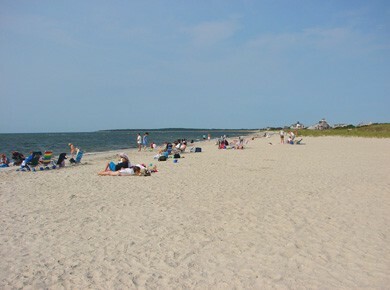 The location is very convenient to the beaches, shopping and many of the Cape Cod attractions. The house was clean and very welcoming. The owners are very responsive to questions. The book in the family room with Cape information such as beaches, restaurants etc was very helpful. I would definitely recommend this property to others and would return to rent there again. "You have a wonderful house and was close to everywhere we usually go to. I went running every morning on Buck Island on the bike path and then took a long bike ride. Thanks again for the use of your house."